Aqua were a German band who had some success in the 80s as a mainstream hard rock band. What is little known is that they began as a progressive rock band, but unfortunately never released any music from this, their best, period. What they did accomplish was record a 4-track demo tape in their rehearsal hall, which they shopped around for gigs, but never landed a record deal. That demo tape forms the nucleus for this disc. Because of the poor sound quality, the tape was re-mastered to make it sound the best it could be. The A and B sides from their 1978 single are tracks 5 and 6, but since the masters were lost, the vinyl was digitally de-clicked. And the last two tracks are from their 1981 LP at the request of guitarist Martin Ulrich to give an idea of the musical turn they took. The demo tracks are great and dominated by Martin Großkurth’s whirling organ and Bernd Billhardt’s driving percussion. Classically inspired at times, Martin’s organ riffs are marginally comparable to Keith Emerson, but not nearly as virtuosic. Though the sound quality improves with the last four tracks, the instrumental breaks are still decent, but the vocals degrade the music to mediocre rock. The last two tracks are truly uninspired and typical of 80s rock. 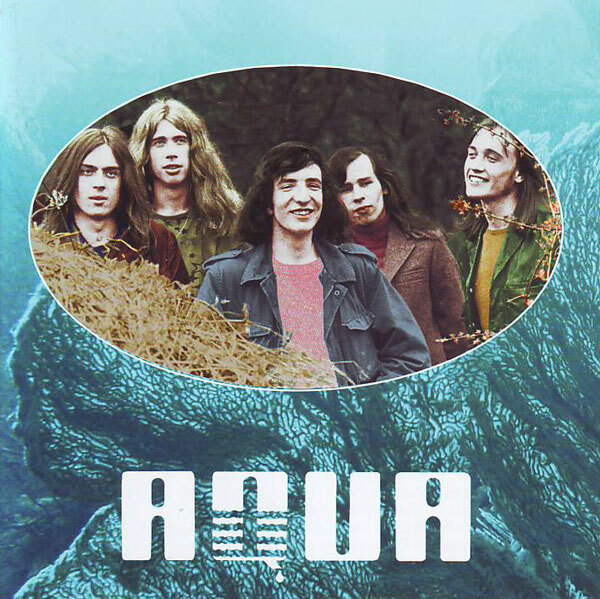 Aqua is not a disc I would spend a lot of effort seeking, unless you are an avid collector of lost German rock.